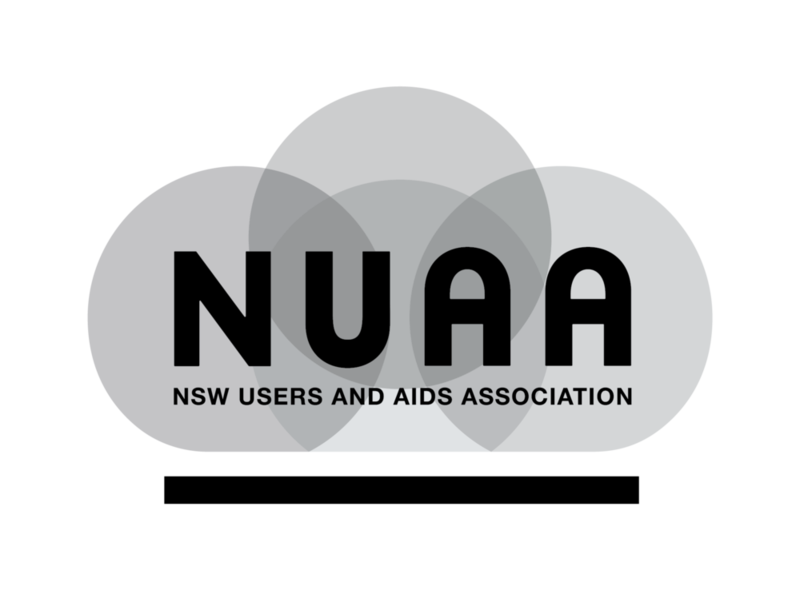 I really love working for NUAA and being involved in the Buddy Program is fantastic. I can work one-on-one with people and with the new medications, I see the rewards in just a few short months when there is another fabulous person in our community that is hepatitis free. You don’t get a better pay off than seeing someone you have grown to care about get healthier and happier. Until I began volunteering in NUAA’s Peer Participation Program 4 years ago, I didn’t understand the value and importance of my own lived experience. But gradually I learned how useful a conversation between peers can be. Today, the fact that I have something to offer makes me feel not only empowered and boosts my self-worth, it makes me feel excited. It is wonderful to be part of a peer relationship because in that space there is trust and respect. My fellow peers tell me they are so much happier to share honestly and open up to me than to clinicians or case workers who are not people who use drugs. We can tell each other what is really wrong because we know we will get respect and problem-solving not discrimination and more barriers. The rewards I get from sharing my knowledge and story are unbelievable. It is a real pleasure to be able to give back to the community that has helped me so much. I also welcome the respect that I never imagined Peer Workers would get from the medical profession. Doctors, counsellors, nurses and researchers have all blown me away by wanting a professional relationship and respecting the work I do. As we Peer Workers prove ourselves, the respect from the rest of the Alcohol and Other Drugs sector grows. I am not only a peer in terms of my experience as an injecting drug user, I am also a hepatitis C peer. I contracted hep C and completed hep C treatment so I know all about it from a personal angle. Throughout my life, I have learned to juggle the medical system, the judicial system, Centrelink, housing and drug treatment services. The more I felt judged, the more fired up I got to make a change. I love helping people navigate systems and get the services they need. Helping Serena has been such a pleasure. I found we had a lot of experiences in common so I really understood what she was going through. I was able to help her overcome her fear and concern about how doctors and nurses might treat her and to turn things around so she got some positive experiences of the medical profession. My world has opened up to so many more opportunities by just sharing my story and knowledge of life with others. Best of all, I have learned not to be ashamed of my experiences, but to stand up and be proud to be a part of the community of people who use drugs. There is no way I would have started the new hep C treatment and cleared the virus without the encouragement and sensitivity that my hep C Support Buddy Sara gave me. I spent a long time in denial and procrastinating about my hep C and I was glad to get the (gentle!) push from Sara to get it all dealt with! A lot of my reluctance to deal with my health has come from my life experience. It’s so hard moving from one violent man to another, not having my own roof over my head and living with alcohol and ice dependencies and all sorts of disappointments. You just have too much to deal with to take on anything else, it all seems too hard. I really needed someone to support me. I would never have got there on my own. I was scared because at first I was told I had severe cirrhosis. Then I was locked up again so I could avoid thinking about it for a while. When I came out, I continued to avoid doctors and nurses because they were always rude to me and judged me. I just found it too painful and it was too hard to push myself forward in the face of that kind of discrimination. Then with my Hep C Buddy’s help, I was able to focus enough to get retested and start treatment. She understood why it was a big deal and was with me every step of the way. I was also assisted along the way with some financial incentives to make things easier and help get me to appointments. The treatment was so much easier than I thought. I was just on 1 pill a day for only 2 months. I had no side effects at all and now I have freedom from hep C. And as it turned out, I never had cirrhosis – it had been a misdiagnosis. WOW. The feeling of inclusiveness and community from fellow peers and volunteers and the trust that is shared so that I could open up was sooo cool! I learnt heaps too about staying healthier in the future. Now I’ve tackled this, I know I can take on other things that need my attention. I’m now readier and more confident to face the challenges ahead.